When it comes time to tackle your busy day, you need a glove that will stand up to a variety of jobs you may encounter. 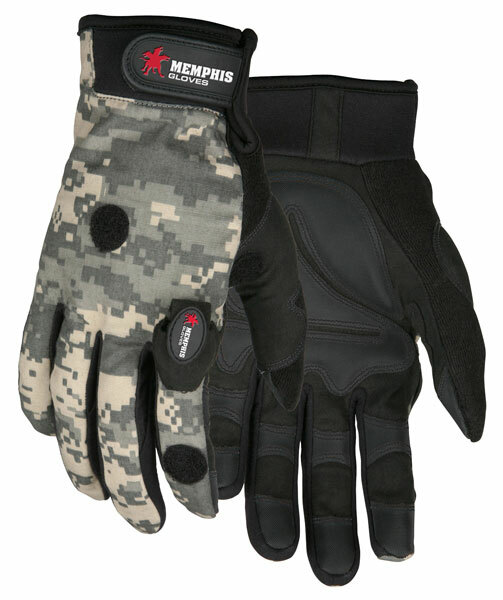 Our Memphis Multi-Task gloves will give you the durability and protection you need from anything that comes your way. The 924WW has a black synthetic leather palm with added palm padding and a camo material back. Other features include an adjustable hook and loop wrist closure and 2 LED lights that attach to the outside of the gloves.